Bridge Broad is Landamores’ Moorings Marina (formerly known as Porter and Haylett Ltd). 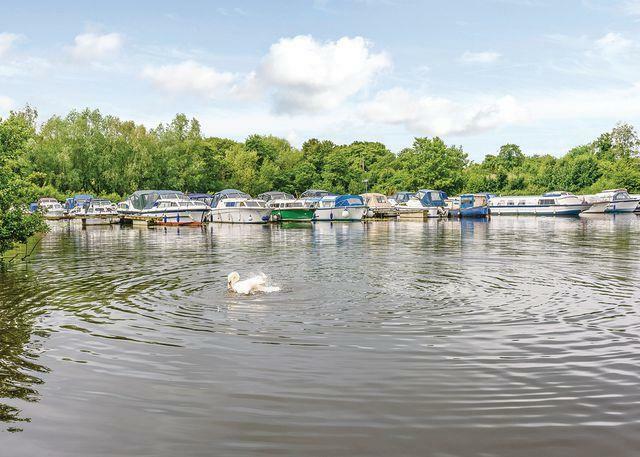 Situated in Wroxham, just upstream of Wroxham Bridge and at the heart of the beautiful Norfolk Broads, Bridge Broad offers quiet secluded moorings that are conveniently located just a short walk from the amenities of Hoveton. Wroxham is well connected, with bus and train links to Norwich, North Walsham, Cromer and London (via Norwich) as well as having lots of rural walks and cycle routes nearby. Bridge Broad Marina is ideally located for exploring the upper Bure; head upstream to enjoy the peace and tranquillity of Belaugh, Coltishall and Horstead, or downstream through bustling Wroxham towards Salhouse and Horning. Bridge Broad is accessed from the River Bure by going through a bridge into the marina. The bridge has the same clearance (actually, slightly better) as Wroxham Bridge, which is 7’3” at average summer high water. Our on-site manager keeps an eye on all the boats in the marina and ensures that the site is well looked after. Coded access helps to keep the site secure whilst allowing you to access your boat at any time. We have a heated toilet and shower block as well as pump-out facilities and fresh water. We also sell Calor gas and Flo gas. Full maintenance facilities, including lift-out, cleaning and anti-fouling are available to Bridge Broad customers at our Hoveton boatyard. We’ll even come and collect your boat for you if you prefer. Bridge Broad is a Camping and Caravanning Club certificated site and we have space for 5 caravans or motorhomes on the riverfront for the use of club members. For more information, or to book a pitch, please fill in the enquiry form above or click here for the camping and caravanning club. Bridge Broad is Landamores’ Moorings Marina (formally known as Porter and Haylett Ltd). The bridge has the same clearance (actually, it’s slightly better) as Wroxham Bridge, which is 7’3” at average summer high water. 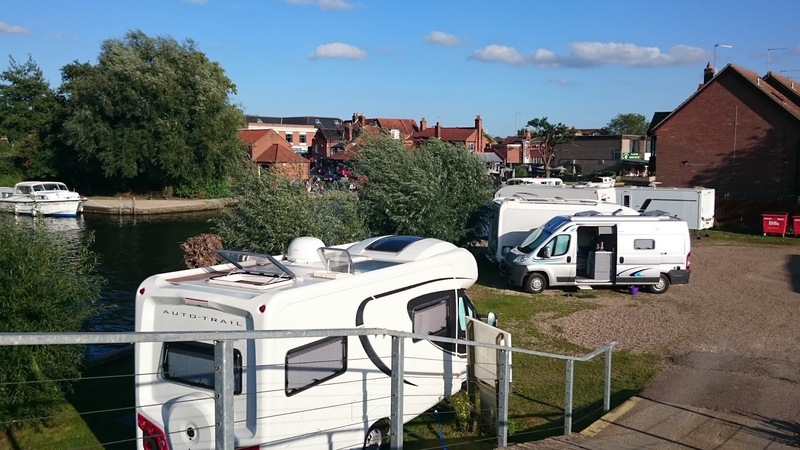 Bridge Broad is a certified Camping and Caravanning Club site and we have space for 5 caravans or motorhomes on the riverfront for the use of club members.